Most schools worldwide today have the same core features as those in the 1960’s, with many the same as schools in the late nineteenth century. In examining the history of schooling over the last century, and particularly since the shock of Sputnik in 1957, and reflecting on our own sixty years’ plus experience with school change and innovation one must conclude that the core features of schooling have not changed. There is moreover scant suggestion that they are about to, with few if any governments contemplating the kind of digital transformation seen in business and other public-sector organisations. It is a reality that needs to be better understood if schooling is to have any hope of evolving at pace with societal change and providing an education relevant to the digitally connected young. It is appreciated that many visionary and highly committed governments, public benefactors, educators and schools globally have made concerted efforts to innovate and enhance the holistic education of all children in the last century, particularly since Russia put a satellite into orbit. Many will remember the immense investment in model schools, the Dewey based progressive schools, educational television, reticulated video, computer aided instruction, open plan schools, alternate schools, school based curriculum design, the many national innovation programs, future and lighthouse schools, and more recently all manner of digital technologies and STEM. History affirms that invariably the dents made in the traditional form of the school have been ‘rectified’ and the school/s returned to the old ways. Schooling globally is still conducted within the physical walls of the place called school, within specified times and dates, with solitary teachers teaching class groups, invariably behind closed doors. The teachers still invariably teach the curriculum determined by the authorities, in the manner prescribed, following a structured, linear teacher controlled instructional program, continually measuring, and reporting upon student performance, always comparing the student attainment, from the early childhood years onwards. The assessment continues be of sole performance, never the ability to work with or to relate to others. The students still move in a lock step manner through their schooling, moving as age cohorts, from one year to the next over twelve, thirteen years to graduation – the decision makers understanding that a significant part of the age cohort, identified by the academic criteria as of lesser quality, will ‘drop out’ before the final exams. The schools remain strongly hierarchical, linear Industrial Age organisations, obliged to follow the dictates of government, whether state or independent. The head, often with the support of a small executive continues to decide on the workings of the school. Most teachers and support staff continue to be disempowered, obliged to do as told, closely micromanaged by both the school and government authorities, expected to conform with the national standards and mores. In many situations, particularly in the rural areas the students attend the same schools as their parents, the schools often being over a hundred years old. The students remain at the bottom of the pecking order, invariably distrusted, obliged every minute of the school day to do as every adult instructs, with their every movement controlled and monitored, fearful that any transgression will be punished. 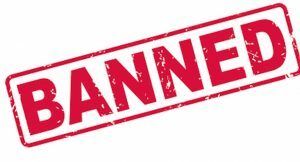 They invariably have no say in what is taught or assessed, when, where or how, and as such have little or no influence or control over the in-school education. The experts know what is best. Student alienation with schooling remains high and likely growing globally, particularly among the non- tertiary bound, with recent student Gallup polls revealing in developed nations like the US 50% student disengagement with the schooling (Gallup, 2015). The contrast with how the young learn with the digital outside the school globally is increasingly marked. Outside the digitally connected young have since the mid 90’s been trusted, empowered, and provided the tools, freedom and support to take charge of their learning with the digital 24/7/365, anywhere, anytime. They, and not the authorities decide what they want to learn, when, how and where (Lee and Broadie, 2018). Schooling is still characterised by its constancy, continuity, sameness, paper base and adversity to risk, with schools, year after year, decade after decade following a remarkably similar calendar, running the same events, using the same livery and ceremonies. Heads and teachers move on or retire, replaced by colleagues who invariably continue the routine. It is understood most systems structurally have added a year or two to the schooling but the nature of the schooling in the added years remains basically the same. The increasingly greater monies spent by governments from the 1960s in the supposed quest for school change and enhancement brought no sustained change to the traditional form of schooling – for many good reasons. Society relies on schools minding the young while the parent/s work, and keeping the unemployment figures down with the older students. This is ever more so with both parents working, and governments globally having to contend with structural changes in the job market. Term dates largely determine the family year everywhere. Any variation to those dates or the school hours is guaranteed to generate all manner of flak and disruption. Society expects the schools to manage and control the nation’s young, and ready them to be largely compliant members of society. School exist to inculcate the young on the nation’s ordered ways, with ‘revolutionary’, non-conformist activity invariably repressed and/or criticised by the media. They are the organisation society has given a monopoly to decide on who will be the future leaders and who the workers, and to ensure that sorting is reflected in the qualifications provided. One will struggle to a find a nation today where the final school exams don’t complete 12/13 years of sorting and sifting, with those in authority and the media lauding the ‘successful’ students, and largely dismissing those who don’t succeed academically. While that observation might appear harsh success at school is still adjudged, as it has for a hundred plus years by performance in academic, paper based exams. Tellingly the schools that go digital will not only not markedly improve their ability to meet any of the above-mentioned givens, but will open the doors to on-going digital disruption and evolution, and a shift away from many aspects of traditional schooling. With its continued existence guaranteed, schooling is one of the rare ‘industries’ today that doesn’t have to worry unduly about productivity, efficiency, continued viability or the workers being ‘restructured’. Indeed, in most situations they currently don’t, unlike business, need to address ‘digital Darwinism’ (Solis and Szymanski, 2016) or the very considerable challenge of digital transformation. Globally political parties still pander to the parent self-interest, and campaign successfully on the promise of spending more on dated, inefficient, inflexible schools and processes, fully aware the extra monies spent on the likes of smaller classes won’t enhance student attainment, educational relevance, school efficiency or productivity. There is moreover little or no pressure for schools and their heads to change their ways, to accommodate the world going digital. The rewards go to those teachers and aspiring heads that provide a good traditional schooling, who manage the status quo well, meet the government specified outcomes and whose students perform well in the final exams. All the staff remuneration models are still those of an analogue world. Ironically, as we discuss in a later post the greatest pressure is placed on those highly capable educational visionaries who try to educate for a world of accelerating digital evolution and transformation and seek to take advantage of the facility to learn 24/7/365. Governments seemingly globally do their utmost to control rather than encourage the mavericks. The continued constancy of schooling globally points to the enormity of the challenge of initiating and sustaining core school change and the imperative of better understanding the constraints to change, and how desired change can be sustained. This entry was posted in 24/7/365 digital education, 24/7/365 schooling, digital evolution, digital schools, Failure school digital education, Is sustained core school change possible?, Politicking school change, The Digital and Empowerment, Trust and school transformation on April 3, 2019 by mallee. An alert for those wanting to lead a digital school. The historic, universal, unwritten assumptions are that fundamental school change is not only possible, but is desired by those in authority and can be readily sustained. Underpinning virtually every education plan and staff development program in the last century has likely been the desire to change and enhance schooling. Myriads of books have been published, studies conducted, reports written and likely millions of conferences conducted globally detailing how. Daily politicians continue to espouse the changes they are initiating, giving the impression that the governments of the world actively want significant educational innovation and change. We’d suggest the time has come to seriously question all three assumptions. We accept that merely questioning the assumptions is akin to killing Bambi, but if schooling is to educate the young for a rapidly evolving world the validity of these first order premises should be examined, and the reality addressed. COSN recently released an excellent study on the hurdles constraining Driving K-12 Innovation (COSN, 2019). The problem was that barriers identified were second order and assumed governments and schools wanted to innovate, could do so, and could sustain the changes made. For most it might be impossible to fundamentally change the traditional mode of schooling in a sustained way. It can in exceptional circumstances happen with individual schools, at least for a time, but as we explore in later posts historically it has been near impossible to sustain across a total system. it is extremely unlikely most schools will evolve as digitally mature organisations (Kane, et al, 2016) being digital (Negroponte, 1995) in the foreseeable future. most governments and educators have no real desire to significantly change the nature of schooling. They want constancy, continuity, sameness and control, free of electoral risk. School leaders should better understand what is possible to change and is sustainable, be aware of the myriad of constraints to significant school change, and appreciate where transformation is possible, and likely impossible. History reveals that sustaining the change is likely as difficult as making the initial change. It also suggests this key facet of organisational change hasn’t been given the attention due. It is time to mix vision with pragmatism, to adopt a more reasoned approach to change, to accept there are givens, and to stop tilting at windmills in areas when there is little or no likelihood of marked variation of the current practises. In talking about core school change one is addressing fundamental variations in the traditional mode of schooling. New buildings, technologies, curriculum or assessment procedures don’t in themselves mean core change, particularly when they are simply a variant of the old. One is looking at the likes of schools without walls, open plan schools and the move to a 24/7/365 mode of schooling that integrates the networked with the site based learning. Heads must recognise from their appointment they will lead the school transformation process for a finite time, with very real likelihood that any significant changes they make to the traditional ways being reversed on their departure. Despite the best efforts of likely millions of very capable heads globally history is festooned with examples, particularly within systems, of the laudable efforts being dismantled or abandoned by less able replacements. For centuries school planners have worked on the assumption they can, with calm rationale thought shape whatever kind of schools they want. They can’t. There are immense, likely growing constraints and barriers inhibiting core change. It is time for all educational decision makers, but particularly principals to better understand, and work with that reality. We now know what can and likely can’t be changed, that which is immutable and that where enhancement is possible. For example, after two hundred plus years of governments in the northern hemisphere basing their school term dates on the agrarian year, and those dates impacting near every facet of life, the economy, and learning there is no way to markedly change the term times. There are like givens those wanting change must work with. School leaders should also appreciate that most governments and education decision don’t want any significant change. Most educational administrations are about control and being risk adverse, committed to ‘protecting and promoting the minister’, concerned not to alienate the electorate or media. While politicians and their educational administrators speak of change the difference between the rhetoric and the reality can be vast. Granted some governments have genuinely wanted enhancement, but history reveals most only want controlled change. Twenty-five years on from the world going digital, and the Digital Revolution transforming all manner of organisations worldwide most of the world’s schools have avoided or been sand bagged against any significant digital disruption (Lee and Broadie, 2018a). Most schools use of the digital the same way as they did a quarter of a century ago, albeit with access to the online. In the coming weeks, we’ll explore through a series of short blogs the realities facing all school leaders, but particularly those wanting to lead a digital school. This entry was posted in 24/7/365 digital education, 24/7/365 schooling, Being digital, BYOT, digital evolution, Digital normalisation, digital transformation, Failure school digital education, Is sustained core school change possible?, Politicking school change, school differences, System wide digital school transformation on March 28, 2019 by mallee. 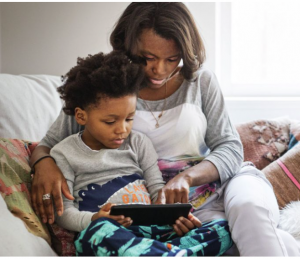 Children born into digitally connected families will likely by the age of three be displaying the key attributes of being digital: attributes they will evolve and naturally grow lifelong. It matters not whether the families are in the developed, underdeveloped or developing world. This development of the last decade, post the release of the iPhone and global uptake of the touchscreen technology goes a long way to explaining why near 70% of the world’s young are digitally connected (ITU, 2017) and two billion plus young people (UNICEF, 2017) have normalised the use of the digital and naturally grown being digital. What we now know is that children born into a digitally connected family – a family that uses the digital technology invisibly in near ever every facet of its lives – will from the day of birth begin observing and mimicking the family’s ever use of the various technologies. By the latter part of the first year of life the children will likely try to operate mum’s smartphone. By the latter part of year two, but most assuredly by three the children will be digitally proficient (Chaudron, et.al, 2018), demonstrating the attributes critical to them taking charge of their learning with the digital, lifelong (Erikson, 2106), (Chaudron, et.al, 2018). Significantly the children will have taken charge before they can read and write, they using what has been a largely latent inherent visual intelligence from birth to naturally grow their being digital. Tellingly it appears the digitally connected families of the world have instinctively and naturally – and likely unwittingly – grown their children’s being digital in a remarkably similar manner, observing five key conditions (Lee, Broadie and Twining, 2018) – with no guidance or funding from government or its schools. By three most children in their use of and learning with the digital technologies have instinctively adopted the same laissez faire approach used by the young of the world – outside the school walls. It is a highly fluid, unstructured, non-linear approach where the children learn informally, invariably through play, just in time and mostly in context, generally astutely guided and supported by the family. Driven by an innate curiosity it is usually discovery based, highly integrated, with the children using all the facilities available to learn what they want, when they want. Theirs is a digital, largely visual and aural world, where video is dominant and where they instinctively first look to the touchscreen technology to access the desired entertainment, communications facilities and information. The early indications are that the very young increasingly use the digital, and particularly the visual and aural facilities to assist grow their vocabulary, speech and ability to write, both with the keyboard and in time with a pen. This has been particularly evident since the introduction of the multi-modal communication facility on touchscreen technology that enables children, particularly in the undeveloped world, to by-pass the QWERTY keyboard. By three the very young are showing clear signs of taking charge of their learning with the digital (Chaudron, et.al, 2018), deciding what they want to learn and how – ready to tell nanny ‘no I want to use my thumbs to navigate, not my fingers’. Very soon each child’s learning is individualised, with seemingly all unwittingly acquiring a common suite of capabilities (Lee, Broadie and Twining, in press) while also growing the skills that allow them to pursue their interests and passions. By three it would appear the young worldwide have adopted the same approach to learning with the digital, that they will use 24/7/365 throughout life. The capability is succinctly, if surprisingly, summed up in the Mark Billingham’s 2018 thriller The Killing Habit. ‘Got one!’ Without a clue what was going on, Thorne leaned down to watch, amazed as always, at how frighteningly adept the child was with the technology. At how kids could play games like this before they could read, could open apps, and navigate screens before they could manage joined up writing. He remembered Alfie, eighteen months younger than he was now, trying to swipe the picture of the TV and announcing loudly it was ‘rubbish’ (Billingham, 2018, p 349). The nature of the learning – as you’ll appreciate – is antithetical to the traditional highly controlled, ‘one size fits all’, expert determined, teacher directed, structured linear teaching used in schools. Two billion young plus affirm the world’s young have no desire to use the traditional approach, and that there is nothing government or schools can do outside the school walls to change that reality. They can if they wish support, complement and add value to the children’s out of school mode of learning. But they are never going to remove the agency and control the young now have over a key aspect of modern life – except within government controlled classrooms. Core to the sustained natural learning with the digital, and digital normalisation – as we elaborate upon in Your Kid’s Being Digital (Lee, Broadie, and Twining, 2018) – are five conditions, that families globally appear to have instinctively observed. Self-directed learning, able to collaborate when desired. Collectively the conditions have worked to naturally grow the children’s being digital. Being digital is far more than digital proficiency, and being able to use the evolving digital media 24/7/365 efficiently and effectively. It is about having a mindset, a mode of thinking, an expression of values, a set of ever rising expectations, an ability to draw on many connected elements, a way of learning and understanding how to learn, a taking charge of one’s own learning, being able to network, to accommodate accelerating change, to continually develop, lifelong (Lee and Broadie, 2018,a). Proficiency wise, as Billingham observes, the children by three have demonstrated their ability to readily work the core functionality of the current personal and family digital technologies (Chaudron, 2015, Chaudron, et.al, 2018). Well before they can read, write or begin school they have learned to use the visual, and increasingly the audio AI controls to navigate the networked world, and use the digital media to access the desired functions. Moreover, they have learnt to use the various digital communications facilities, strongly favouring video. They are very much a digital, not a pen and paper generation. In having the agency and capability to use the technology largely unfettered the children globally have shown they will – as they have for thousands of years – pursue their interests and passions, aided today with increasingly sophisticated and powerful digital tools (Ito, et.al, 2013). UK’s Ofcom for example has noted that in 2017 42% of 3-4 year olds used YouTube, up 10% on the year before (Ofcom, 2016, 2017). 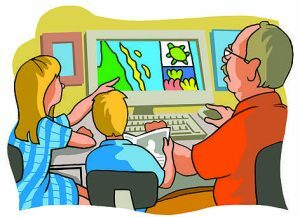 While kids have always had this capacity in their informal learning the parent’s provision of the technology, connectivity and agency overnight removed the traditional adult gatekeepers of the information and gave children the freedom to access the resources of the networked world, the moment desired. Similarly, each child chooses the digital tools they need for the task at hand. The implications of the young being digital by three are profound and far reaching, for the young, their parents, families, schools and governments and society in general. They are yet little appreciated, particularly by most educators, governments and the media – that appear to be more focussed on the dangers of the technology rather than the profound impact it has had, and will continue to have worldwide, both on the up and the down side. It has, as the UNICEF study (2017) notes changed the nature of both youth, and youth education – albeit outside the school walls. It is vital the young as they mature better understand the implications of taking charge of their learning with the digital, learning how to learn and becoming increasingly autonomous learners. While 70% of the world’s young are digitally connected 30% are not. They are, educationally, socially and economically disadvantaged. Connectivity can be a game changer for some of the world’s most marginalized children, helping them fulfil their potential and break intergenerational cycles of poverty (UNICEF, 2017. P1). 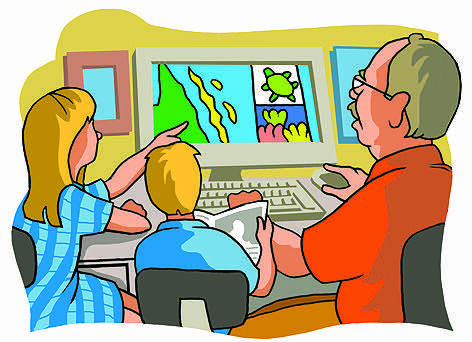 The parents of the young need to better appreciate the many implications of playing the lead role in growing their children being digital from birth, to understand the family’s educational strengths in this area far outweigh the schools (Lee and Broadie, 2108, b) and that they cannot rely on the schools to assist grow their children taking charge of their 24/7/365 learning with the digital. Schools and governments need to grasp that they have no control over the world’s young growing their being digital, and never will while ever they continue with their insular, school focussed, structured, ‘control over’ approach to digital learning, and dismiss the learning occurring naturally in the families from birth. Governments could better assist by investing a fraction of the millions spent on technology in schools by giving the monies directly to the families in need. By the age of three the die is largely cast on the young’s adoption of their approach to learning with the digital. As the children mature and naturally grow and evolve their being digital so they will develop as largely autonomous learners and do so lifelong everywhere – other than the classroom. This entry was posted in 24/7/365 digital education, Banning mobiles, Banning smartphones, Being digital, Digital normalisation, digitally connected families, early childhood digital normalisation, impact of mobile technology on children's education, lead role of young and family in digital education, networked family, parent responsibility for digital, parents and smartphones, pre-primary digital normalisation, responsibilities of digitally connected families on September 18, 2018 by mallee. Trust is critical to the young growing ‘being digital’ (Lee and Broadie, 2018a). Without trust the young will never normalise the use of the digital, and naturally enhance their use of and learning with the continually evolving digital technologies. It is a new reality that most schools and governments don’t appear to have grasped. Rather globally we see them continuing to distrust and disempower the students, somehow imagining their unilateral control of the students every use of the technology will enable its normalisation, and enhance the nation’s young being digital. 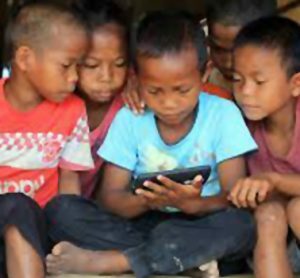 Little is the wonder that near on two billion young (ITU, 2017) (UNICEF, 2017) have normalised the 24/7/365 use of the digital outside the school walls, but relatively few schools globally have been able to achieve that normalisation and have the digital underpin all learning. We know now that five interconnected conditions are critical to the young’s sustained, natural learning with the digital (Lee, Broadie and Twining, 2018). 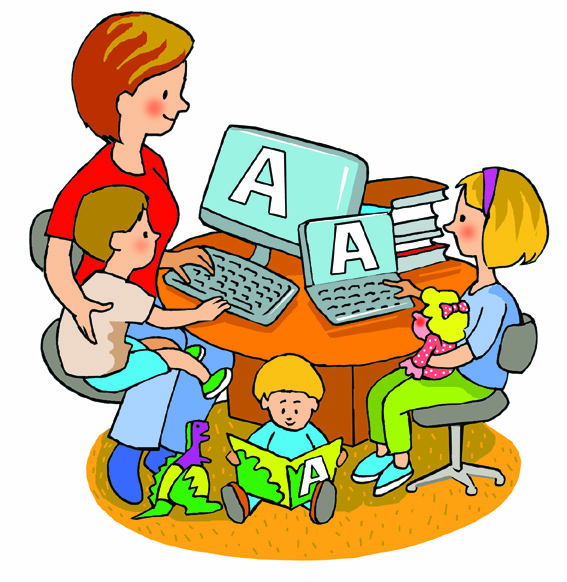 In providing the children their ‘own’ suite of digital technologies, free to configure them as they wish the digitally connected families are communicating very strongly to the kids the family’s trust in them. In schools insisting the students use the prescribed digital device and software, in monitoring its every use and in failing to recognise and value the student’s out of school learning with the digital schools are saying very strongly – intended or not – we not only distrust you, but we don’t trust anything you do out of our eyesight. 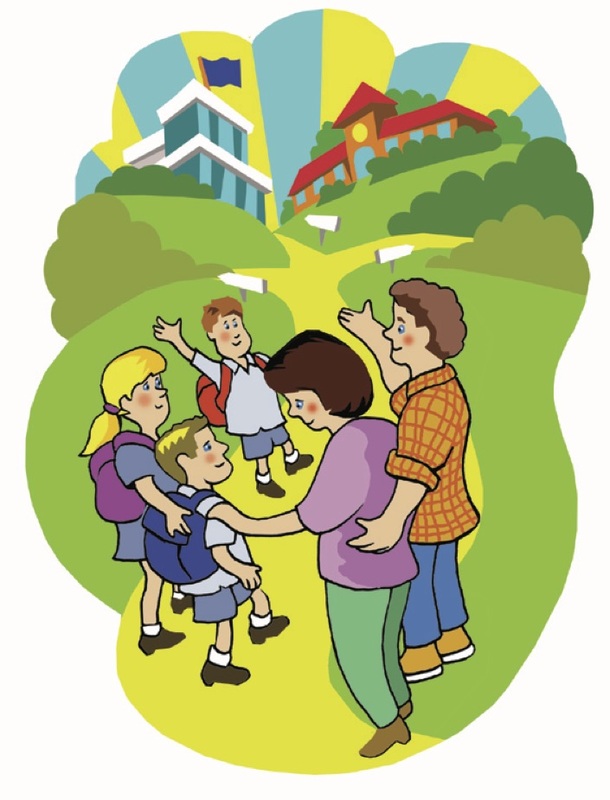 In enabling the children to connect to the digital technology and the networked world the moment desired, and to do so largely unfettered the family is affirming both its trust in the kids as well trust in the upbringing and education the family has provided. One will struggle to find a school anywhere that allows, let alone encourages students to digitally connect the moment they believe it will assist their learning, free to access the desired sites and facilities. Rather access is tightly controlled, with the students invariably needing to get teacher permission, to operate within a mandated acceptable use policy, to do at specified times and to work through a tightly controlled, filtered and indeed censored network. In addition to trusting their children to use the technology and connectivity largely unfettered the family trusts their young to take charge of their learning with the digital technology, they decide what they want to learn, when, how and with the help of whom. Moreover, they are trusted to do so from as young as three, and supported from that age onwards to become autonomous learners, charting their individual path. Importantly the families – likely unwittingly – trust their children to adjudge their own capabilities and to decide when, and how they best enhance their learning. In contrast governments and their schools allow the same empowered young no voice in the in-school learning with the digital, with the experts and teachers deciding what needs to be learned, controlling every aspect of the teaching and assessment, with most schools neither valuing or recognising the student’s individualised learning with the digital. Tellingly not only are the children distrusted, so too are their parents. Most schools remain strongly hierarchical organisations, tightly controlled by both government and the school executive, with not only the children and the parents distrusted but so too most teachers. Teachers globally are disempowered and micro-managed to the nth degree. Teachers, almost as much as the students are invariably obliged to use the school specified hardware and software, to use a tightly controlled network, and to follow the prescribed syllabus and assessment regime. 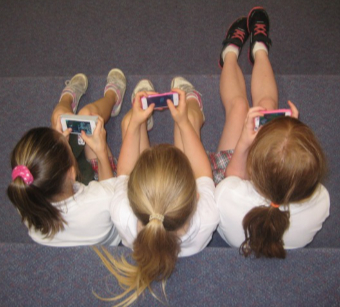 There are, as indicated, exceptional schools that have trusted and empowered their teachers, students and families, which have successfully built upon that trust in a BYOT program, normalised the whole school use of the digital, and vitally collaborated with the families in enhancing the children being digital (Lee and Levins, 2016). But they remain the exception – their continued success strongly dependent on visionary often maverick heads, able to politic their way through the myriad of bureaucratic and government constraints. Until governments and their senior education decision maker – be it a minister or superintendent – understand the centrality of trust, and openly promote school cultures that build on trust and empowerment schools will likely continue to have limited impact on the nation’s young being digital. Yes, there will always be exceptional heads, schools and classroom teachers that do make a difference. But there will continue to be, as there has been for near on forty years, great teachers burnt out by dated, stultifying organisational structures, and decision makers who refuse to let go of their control, and genuinely trust and empower the professionals, parents and students. In advocating working from a position of trust the authors are not naively saying there is no need for astute control, for agreed operational parameters, for hierarchical structures and final decision makers. We are also conscious of the profound impact of the digital in the last twenty plus years and that public policy makers invariably lag 10-15 years behind the technological developments (Deloitte, 2017). We are simply commenting on the global reality that in the last twenty plus years outside the school walls when the young are trusted and supported to use and learn with the evolving digital technology they naturally grow and evolve their being digital. Moreover, they are on trend to do so lifelong. When distrusted and disempowered they don’t. Without trust schools can’t thrive in a socially networked society and sharing economy (Lee and Broadie, 2016). 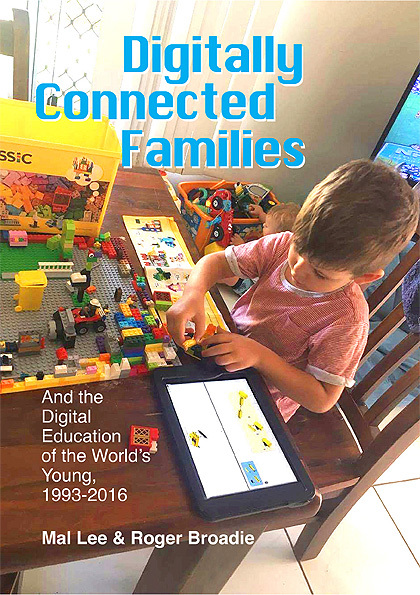 Two years later, and having scrutinised the evolution and success of the digitally connected families and researched the digital education offered by schools worldwide between 1993 – 2016 (Lee and Broadie, 2018b) we more than ever stand by that observation, and add that without trust schools cannot grow the nation’s young being digital. Lee, M. Broadie, R and Twining, P (in press) Your Kids Being Digital. A Guide for Digitally Connected Families . This entry was posted in 24/7/365 digital education, Being digital, BYOT, Curriculum for Digital and Socially Networked Society, Digital normalisation, digitally connected families, early childhood digital normalisation, Failure school digital education, impact of mobile technology on children's education, lead role of young and family in digital education, networked schools and society, parent responsibility for digital, parents and smartphones, responsibilities of digitally connected families, Teacher empowerment, The Digital and Empowerment, Trust and school transformation on September 3, 2018 by mallee.